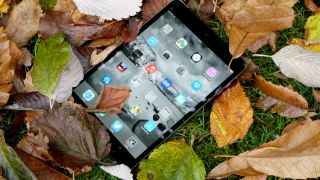 Apple slimmed down its full size iPad to create the iPad Air, so it only seems fair that the iPad mini gets the same treatment. Chinese site mag.udn.com cites 'supply chain sources' as claiming that the iPad mini 3 will be 30% thinner than the current model and that the slate will get a new name, becoming the 'iPad mini Air'. 'iPad Air mini' makes a lot more sense to us, but there you go. The site goes on to say that, rather less surprisingly, it will use Apple's new A8 chip, which according to previous rumours is more focussed on efficiency and improving battery life than on raw power. Apparently the slate's thinness will be one of its main selling points, which makes sense. It certainly worked for the iPad Air. While the report doesn't give any mention to weight it's likely that the iPad mini 3 (or iPad mini Air) will weigh less too if it's thinner, which would again put it in line with the iPad Air. Though at just 331g the iPad mini 2 isn't exactly heavy. At 7.5mm it's also just as thin as the iPad Air already. Shrinking it down by 30% would put it at around 5.25mm thick, which really would make it incredibly slim. Apple's always been big on aesthetics though so we can believe it.